Here a Little, There a Little: He is Mindful of Us All. Everyone has, at some point in their life, felt insecure. They've struggled with self-doubt. They've felt alone. We've all over-thought situations. We've questioned ourselves. We've wondered how "good" we really are. If we'll ever amount to anything really wonderful. Three weeks ago, I was camping with the young women in my stake. Sister Elaine S. Dalton, the former General Young Women's President of the Church of Jesus Christ of Latter-Day Saints, came to talk to us on our last night there. She shared many things, all relating back to the fact that we might not always know what is in store for us, but the Lord does. She used to think she was a skinny little nobody, just as many of us have felt. But as she has lived a worthy life, she has come to better understand her divine potential. Now, I'm not exactly sure what everyone else got out of Sister Dalton's talk that night a few weeks ago, because I was way more focused on something she said at the beginning of her talk. She began by talking about her patriarchal blessing. Before camp, I'd received an interview to get my patriarchal blessing, but I was worried that maybe I wasn't prepared yet. I'd been praying to Heavenly Father to help me be worthy, but I wasn't sure that I was. I'd been thinking about getting my patriarchal blessing for a long time, but now that I'd actually scheduled it, I was having second thoughts. As soon as Sister Dalton mentioned her patriarchal blessing, I knew. I KNEW that I was worthy. The Holy Ghost testified to me that I was. For the rest of the talk she shared, I was thinking of that spiritual confirmation from God that I was prepared. And that brought me indescribable joy! After she was done talking, I waited behind a ton of girls to be able to talk to Sister Dalton. I told her how she had answered my prayers. She just hugged me, looked in in the eyes, and said, "My dear, you are worthy!" I will never forget that. My doubt was squashed and I felt the undeniable love of God for me. I was left with no doubt in my mind that Heavenly Father knew where I was, knew the question I was facing, and knew how to reach me. 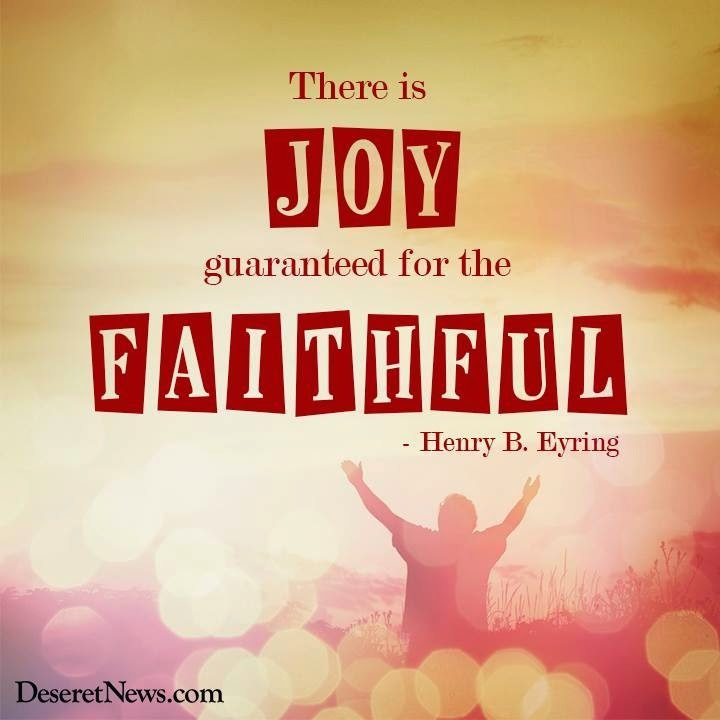 I believe that Heavenly Father has many ways for us to get the message He wants us to receive. Sister Dalton was an answer to my prayers that night. Heavenly Father knew exactly how to tell me what I needed to know. It was not at all how I expected to learn it, but I understood that it was for me. Each one of us is different. But He takes the time to think of us and answer our prayers. Sometimes we need to remember that the Lord has His own timetable, that nothing is according to our plans, but to His. 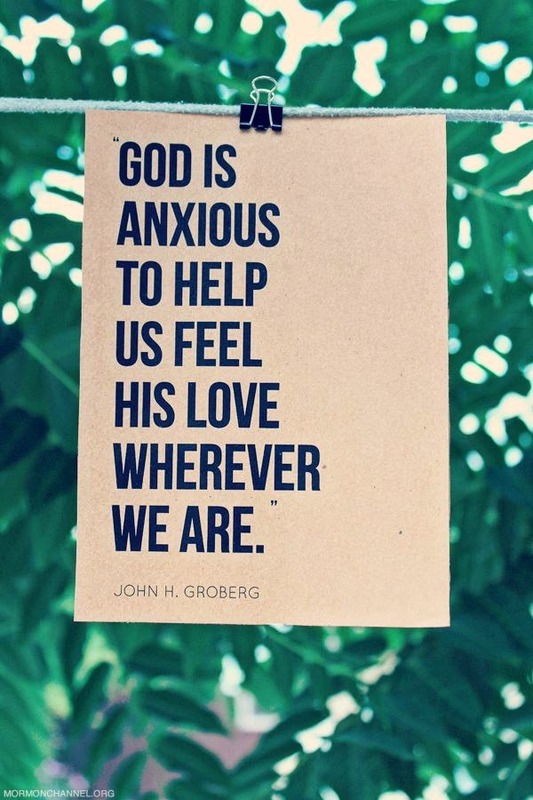 We also need to remember that He often times answers our prayers in the ways we least expect. But we need never doubt that He will answer our prayers. He will, He always will. Just as the people in our lives who love us would not simply ignore us if we sincerely and righteously asked for something, neither will God. Because He loves us unconditionally, and He knows us better than anyone else. Now, my brethren, we see that God is mindful of every people, whatsoever land they may be in; yea, he numbereth his people, and his bowels of mercy are over all the earth. Now this is my joy, and my great thanksgiving; yea, and I will give thanks unto my God forever. Amen. You are wonderful! Never, ever doubt it. As long as God loves you, you have infinite worth. And guess what? God loves you forever, without fail, unconditionally, no matter what, and with the purest love. He is so, so mindful of you. If you will put your faith in Him, you will do wonderful things. Thanks for sharing this experience. It strengthened my faith. Love, Dad.